MORAGA, Calif. – Jordan Ford made a wide open 3-pointer with 45.3 seconds to go and Saint Mary’s won its program-record 30th game of the season with an 85-81 victory over Washington on Monday night to reach the NIT quarterfinals. Washington freshman Jaylen Nowell answered with a deep 3 to pull to 82-79 at 33.5 but Saint Mary’s worked the clock down to 12.8 before Ford sealed it with two free throws. Ford scored 22 of his 26 points in the second half. Evan Fitzner added a season-high 20 points off the bench for Saint Mary’s (30-5) and Emmett Naar had 12 assists. Noah Dickerson had 22 points and nine rebounds for Washington (21-13), which lost to Saint Mary’s for the first time. 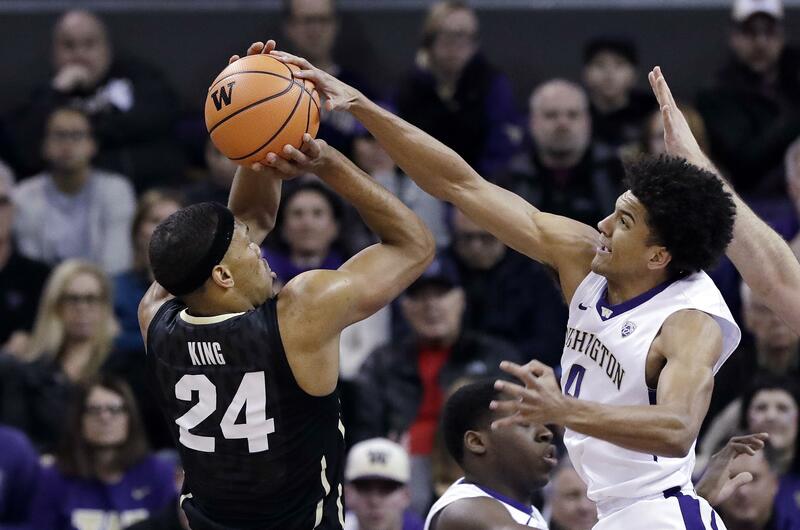 Matisse Thybulle moved into second in Pac-12 history for single-season steals, tying Gary Payton with 101. Thybulle’s steal and fast-break dunk got Washington within 75-72 and after Saint Mary’s two free throws, Dickerson spun his defender on the baseline for a two-handed dunk. Published: March 19, 2018, 11:03 p.m.